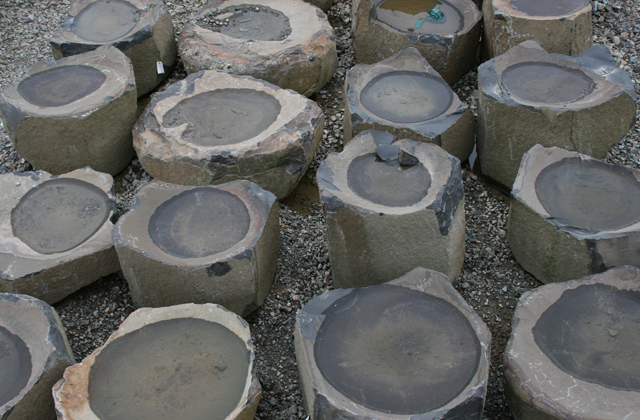 Columbia Basalt dish rocks are quarried in multiple quarry areas in and around Moses Lake and Central Washington. 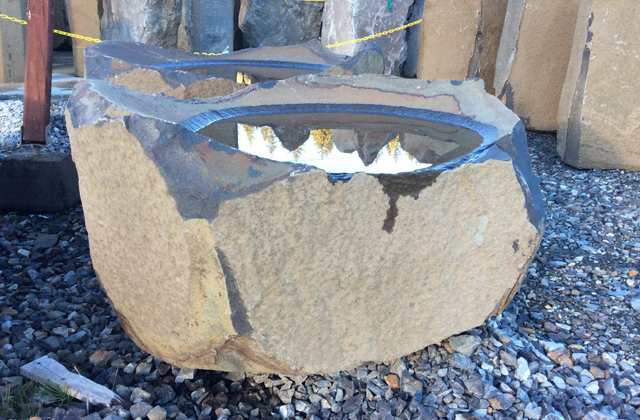 Columbia Basalt dish rocks are available in dimensions of 12 to 36 inches in diameter and 12 to 48 inches and even larger in length. The color will be mainly brown tones with very consistent shaping and characteristics. This stone is sold by each and comes in many versions from raw, sawn bottom and drilled for water fountain uses.